Assembly candidate Dawn Ortiz-Legg didn’t charm North County voters Wednesday when she said she was happy to have experienced a DUI arrest or when she lashed out at her opponent Jordan Cunningham. The candidates debated on conservative radio station KPRL and a couple of the questions came from pro-Cunningham callers. Ortiz-Legg struggled through much of the debate while Cunningham called her out for flip-flopping on an issue and for spouting misinformation about legal professionals. Ortiz-Legg, a Democrat, and Cunningham, a Republican, are running for the 35th District Assembly seat. Ortiz-Legg is a solar energy consultant. 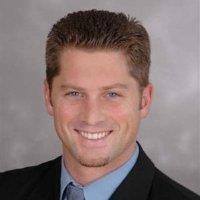 Cunningham is a lawyer who previously worked as a San Luis Obispo County prosecutor and now runs his own law practice. During the debate, a caller asked the candidates if either of them had ever been charged or convicted of a crime. Cunningham said he had not. Ortiz-Legg said she did not think she had been charged or convicted, but then went on to say she had a drunk driving offense and that she was really happy to have had the experience. Another caller asked Ortiz-Legg if she would renounce her relationship and activities with the anti-war organization Code Pink. “It’s for me again. Isn’t that a surprise?” Ortiz said and then started laughing after hearing the question from the caller. Ortiz-Legg, who co-founded the local chapter of Code Pink, said she renounces the activities of the organization that are against veterans. The Democratic candidate also said she is married to a veteran, she has never participated in any activities against veterans and she was being portrayed as guilty by association. Cunningham said the Code Pink issue is not guilt by association. “She wrote that we are guilty of war crimes in talking about criticizing the fact that we still had a military presence in Afghanistan fighting terrorists,” Cunningham said. Ortiz-Legg said she has not been associated with Code Pink for more than 10 years, and the group is not anti-military. Then, Ortiz-Legg went on the attack. Cunningham responded by saying he does not have a criminal record. Ortiz-Legg fired back demanding Cunningham release his clients’ criminal records. Cunningham told Ortiz-Legg she was uniformed about what attorneys do and the rules they operate under. According to the California State Bar, it is an attorney’s duty to not only defend their client, but to also protect their client’s confidentiality. State Bar rules prohibit Cunningham from complying with Ortiz-Legg’s demands. Though much of the debate focused on the candidates’ characters, Ortiz-Legg and Cunningham did state their stances on several issues. When asked about immigration, both candidates said they oppose sanctuary cities. But, immigrant labor is important for the agriculture industry, Ortiz-Legg said. Cunningham asked Ortiz-Legg if she would support giving benefits, other than emergency medical care, to illegal immigrants. Ortiz-Legg said that is an ideological approach, and a legislator should determine rather what is the best return on investment for the taxpayers. The candidates were also asked about their stances on the Bill of Rights, particularly the first and second amendments. Cunningham said he supports all 10 of the constitutional amendments in the Bill of Rights, and he would defend Ortiz-Legg’s right to free speech even if he disagrees with what she says. The Republican candidate also said the focus of gun control should be about disarming felons, not regulating law-abiding gun owners. Ortiz-Legg said she supports the Second Amendment. 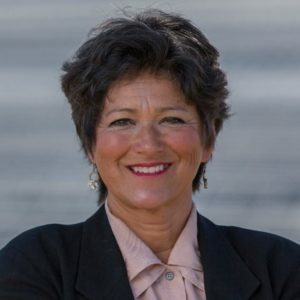 On local issues, Ortiz-Legg said she supports Measure J, SLO County’s half-cent sales tax initiative that is supposed to raise funds for transportation projects. Ortiz-Legg said she opposes Phillips 66’s proposed rail spur in Nipomo, even though she previously wrote a letter to the San Luis Obispo County Planning Commission supporting the project. Ortiz-Legg said the Phillips 66 refinery is a safe facility that produces some of the cleanest fuel in the world, but there is not currently safe infrastructure on which to transport the crude. Cunningham said he believes oil is needed as a source of energy, but he thinks the Phillips 66 project should be decided at the local, not state, level. He also said he thinks oil is optimally transported by pipeline. “You guys are fun,” Del Campo said. In the primary election, Ortiz-Legg placed first with 44.9 percent of the vote. Cunningham received 37.3 percent. However, Ortiz-Legg was the only Democrat in the primary race, and Cunningham was one of two Republicans. The 35th District includes all of San Luis Obispo County and much of northern Santa Barbara County. I’m voting for Jordan Cunningham. There”s no contest. His opponent is not qualified. Not sure if she should be qualified to even vote. At the very least she needs a high school civics refresher class. Just received an obviously expensive mailer from DLO touting the “fact” that Cunningham is a sleaze ball defense attorney. Among those “facts” is an official looking court document showing Cunningham as the lead attorney defending a drug trafficker. Now I get an email from the Cunningham campaign indicating that this document is fabricated and a lie since he was a prosecutor at the time. If DLO is sending out lies and fabrications as official documents, that’s bad stuff. Ms Ortiz-Legg is running one of the most negative campaigns I have ever seen. My experience has been negative campaigners tend to end up being the worst elected officials, constantly blaming all of their shortcomings in office on everyone else. Vote for Cunningham or we will end up with a do nothing assemblywoman who does nothing except blame. Who can say negative campaign and not mention Adam Hill? If you run for office you must disclose your criminal history, even if your conviction has been expunged. This is the law. If Ms. Legg did not disclose that when she filed, she is in violation of the Election law. DUI is a felony but often reduced to a misdemeanor through plea bargaining. Not knowing more about her particular case, I can’t say what she was convicted of, a felony or misdemeanor. I believe arrest records are available: if you were doing a background check on someone you could find out if the person had been arrested and on what charges – mindful that an arrest is just an arrest, not a conviction. In attempting to give her the benefit of a lot of doubt, perhaps what she meant was, the DUI was a wake-up call for her personally, and it resulted in changed behavior – no more drinking and driving. That is the only good I could imagine coming from it. All that said I am still voting for Jordan Cunningham. That Debra Ortiz-Legg would get behind the car and drive while intoxicated shows her risky behavior puts community at risk. Then to reply with such a lack of conscious or awareness of her actions as candidate for California State Assembly demonstrates why we must Vote Jordan Cunningham this November. I’m sick of epic fines and DUI arrests among Dem members of Assembly + Senate in Sacramento. Ortiz-Legg and Ben Hueso of San Diego in Sacramento at the same time is a very scary thought. I’m voting for Jordan Cunningham. ‘If you have suffered three or more prior DUI convictions within the last ten-years, and suffer another DUI arrest, you will likely now be charged with a felony DUI in California”. Moss_on_Stone makes a good point. Ms Ortiz-Legg, Ms Caren Ray, and Adam Hill have all acted in a manner most deem unacceptable, yet they want voters to either forget about their lack of good judgment or to be ok with it. A DUI is characterized as “a positive experience”? Drinking and running naked is “normal adult behavior”? And impersonating your opponent while leaving a nasty message on an answering machine is “a joke”. The focus should be on the stupidity here … are you on Dope? So she was happy , to be pulled out of her car tested, put in the back of a cop car, put your name up on the wall … go to court pay thousands of dollars.. pay fines .. go through the system ..
happy about it.. ARE YOU NUTS?… could be .. flush a vote.. The point is , be careful in most cases it only takes two drinks and your impaired. Breaking the law is breaking the law.. In most cases it shows you have no respect for the legal system. But then again …. Where are all those email PLEASE!!!! Since relocating from Los Angeles to SLO County, I’ve noticed most wine tastings offer Uber or some sort of safe driving if they see participants are intoxicated, and not on a tour where someone else is driving. This community has been one of the most responsible looking out for each other that I’ve come across since the San Diego days. So for a candidate for California Assembly to be so glib about drunk driving informs Debra Ortiz-Legg is not qualified. Jordan’s experience would inform his policy-making for a balanced, thoughtful approach where due process meets Mothers Against Drunk Drivers. Ortiz-Legg is just drunk driver. I would venture to say she is happy about it because she got into recovery or something. But people should never be forgiven for their mistakes and errors. Ever.